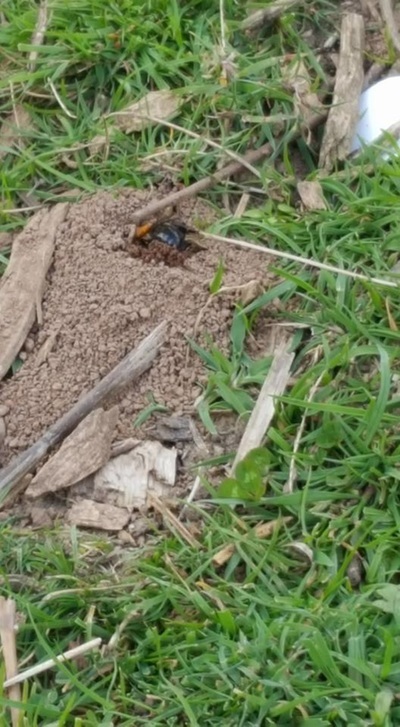 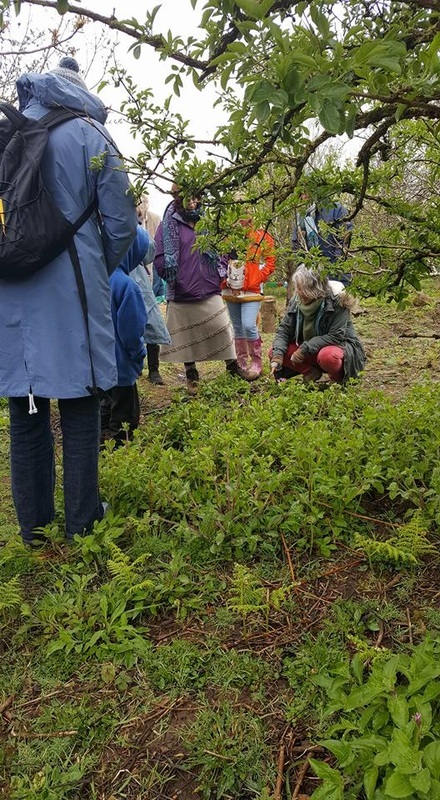 We've done lots of work with the simply fabulous Brigit Strawbridge over the last few years, and we are now delighted to have started running Bee Safaris here at PermanentlyBrilliant. 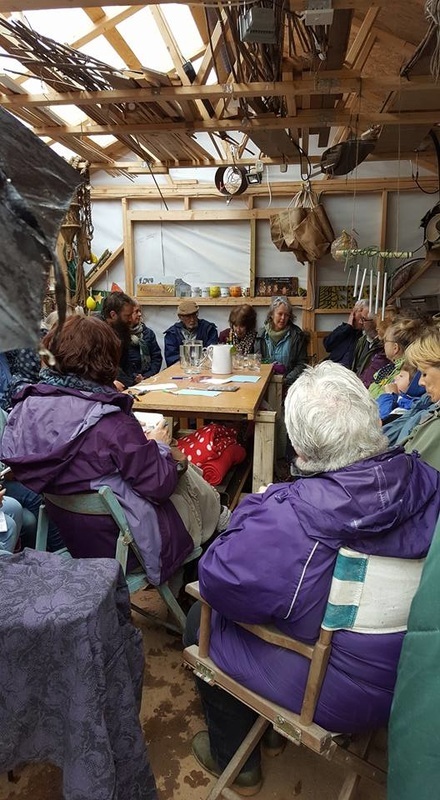 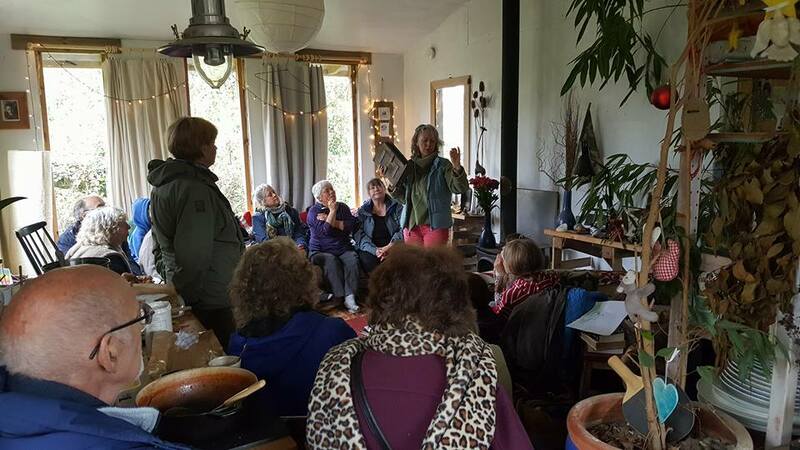 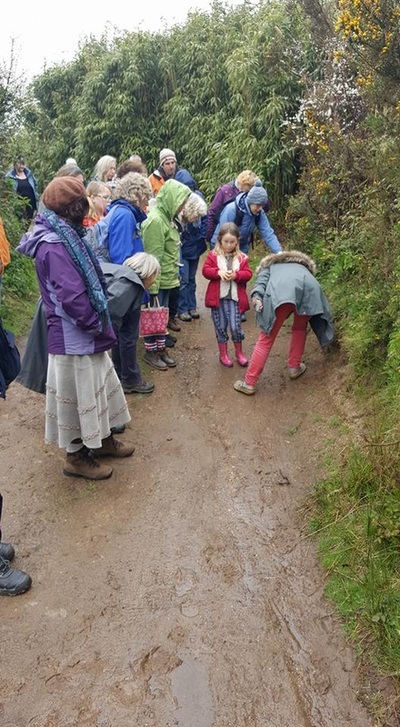 People came from all round our local area and as far away as Bodmin and St Austell for our first one in May 2016, which despite beautiful May Mizzle left standing room only in (and in fact standing OUTSIDE) the workshop and then the house to hear some of her treasure trove of inspirational wisdom. 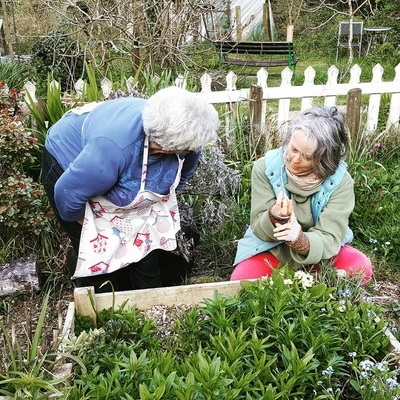 A hearty homemade soup and bread and cake ( we must always have CAKE!) 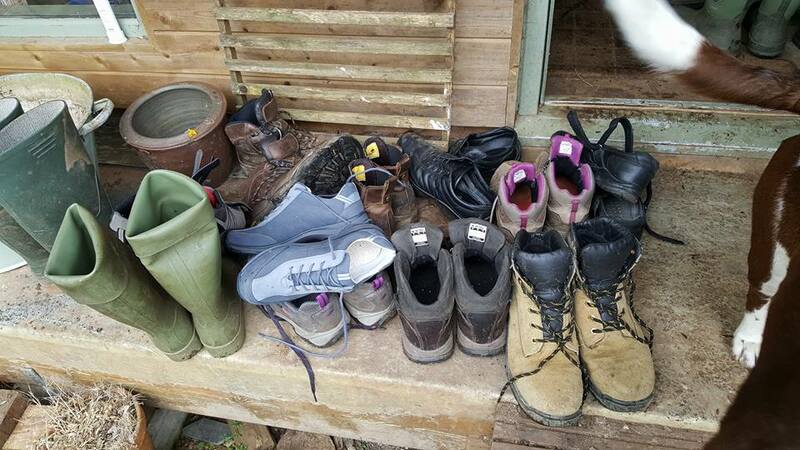 kept us all sustained, and we ended with a massive thank you to Brigit and a harvesting and handing out of bamboo (great for bee hotels) and spadefuls of comfrey (great for...everything!) as a parting gift. 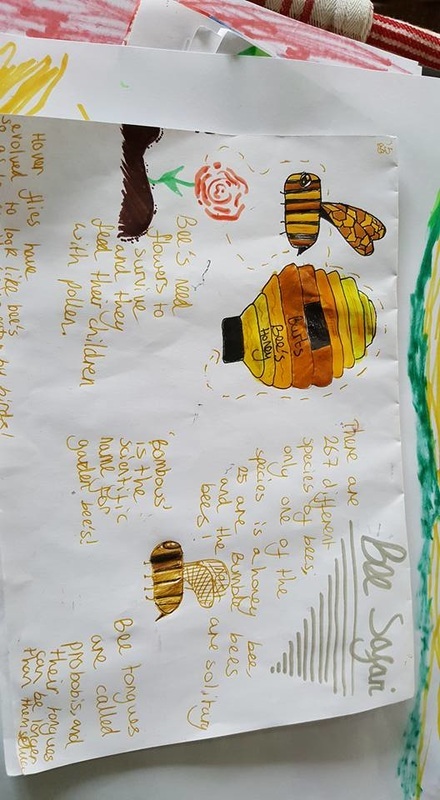 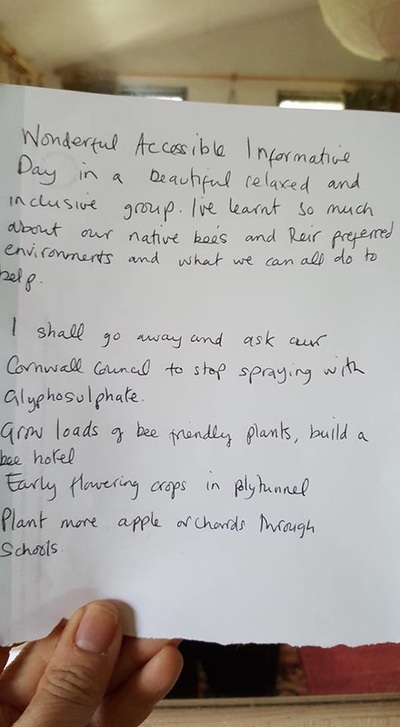 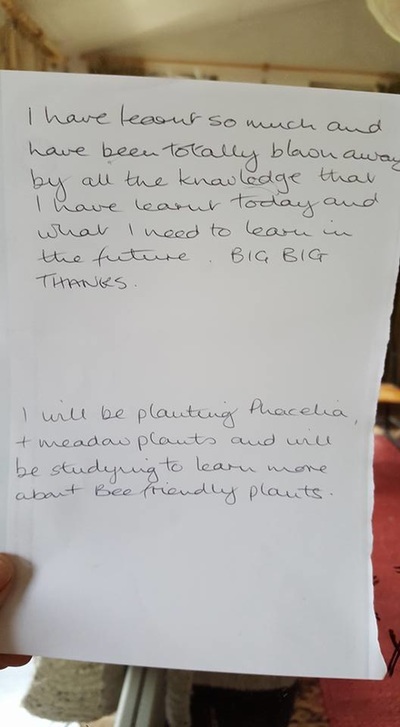 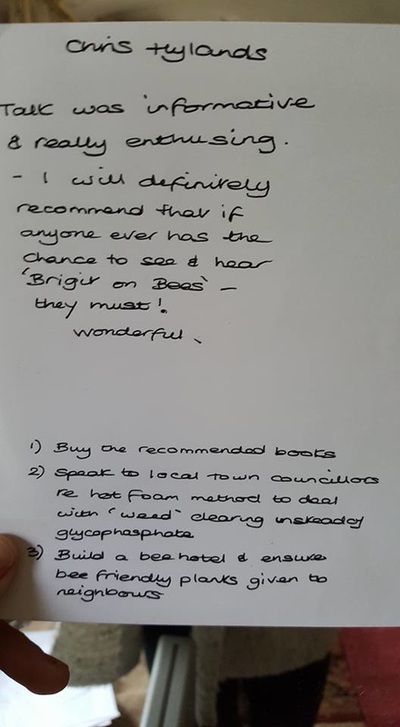 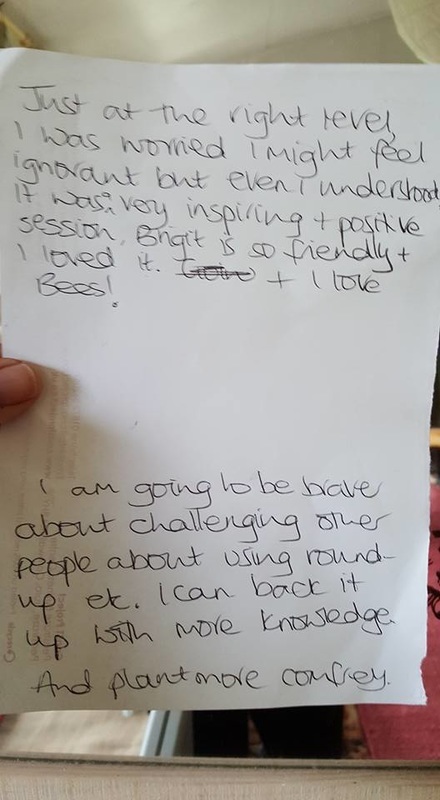 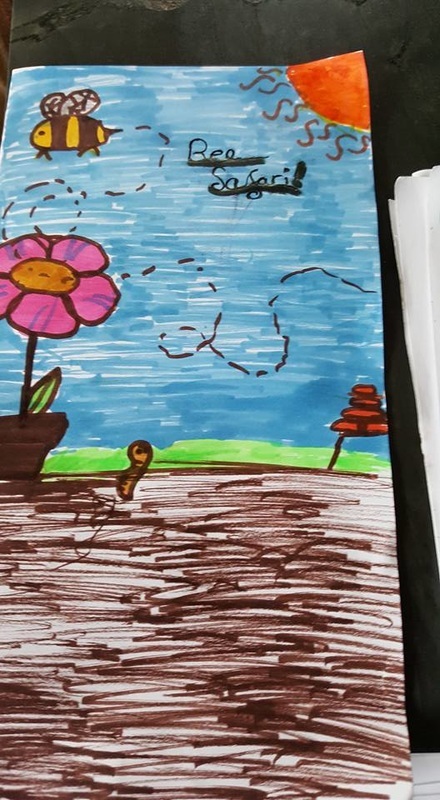 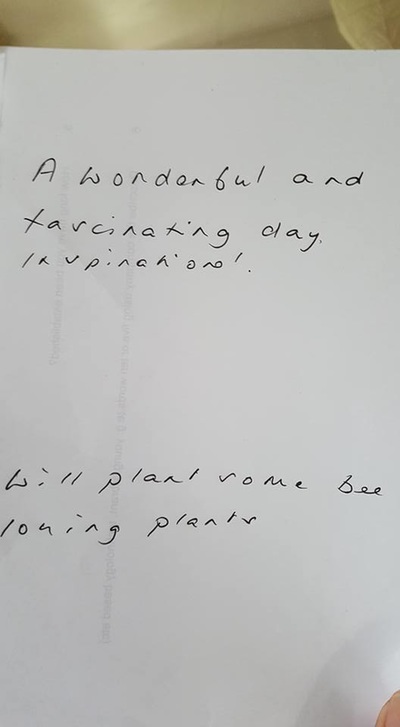 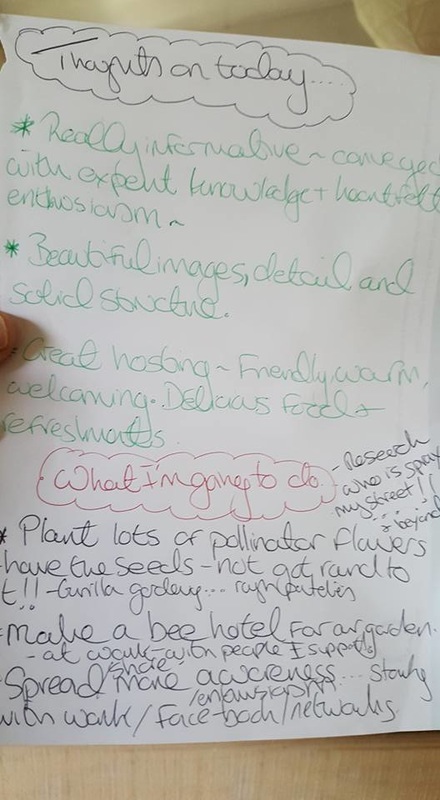 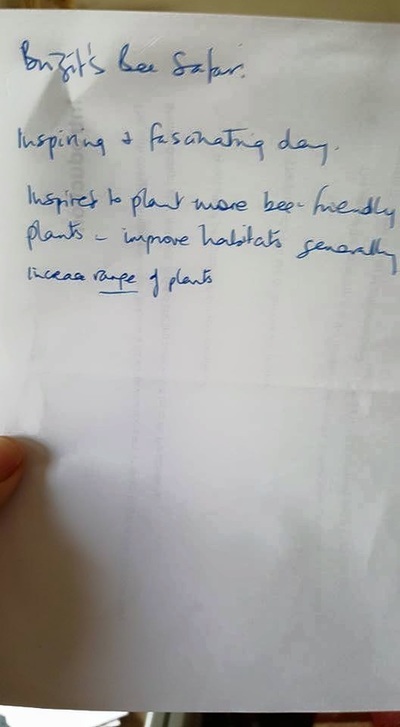 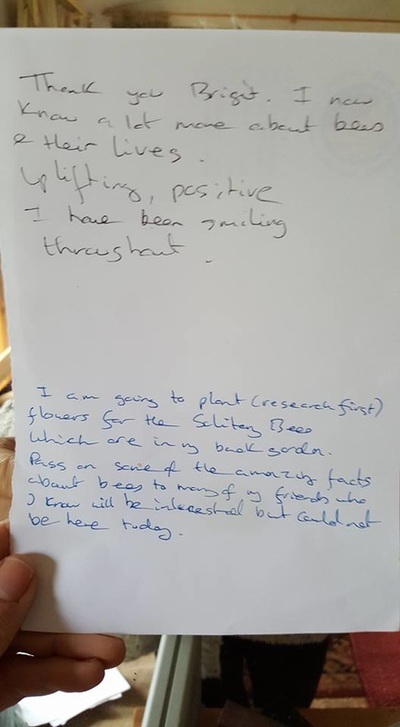 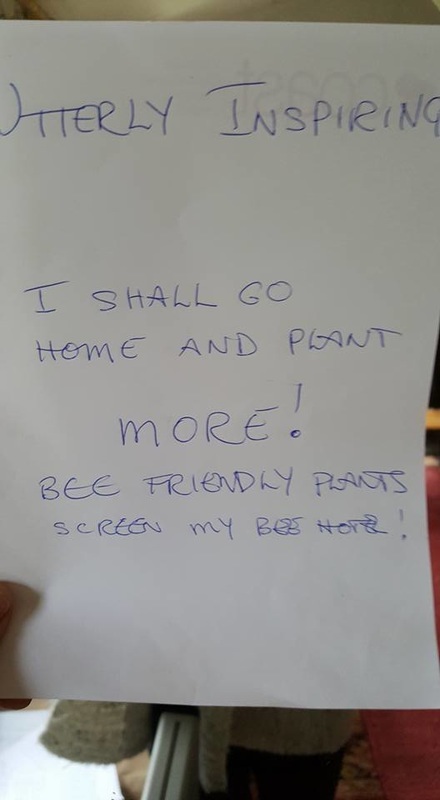 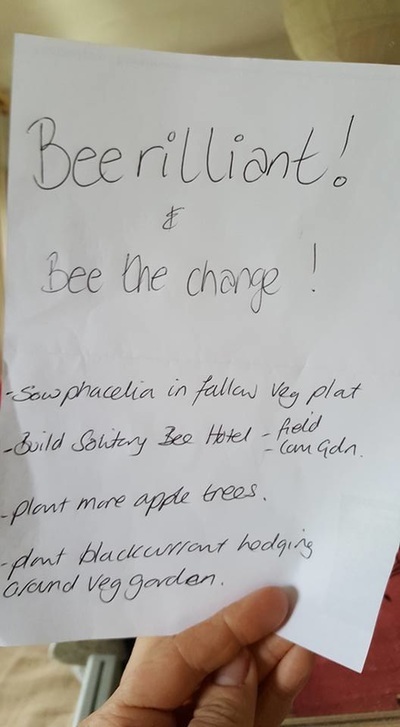 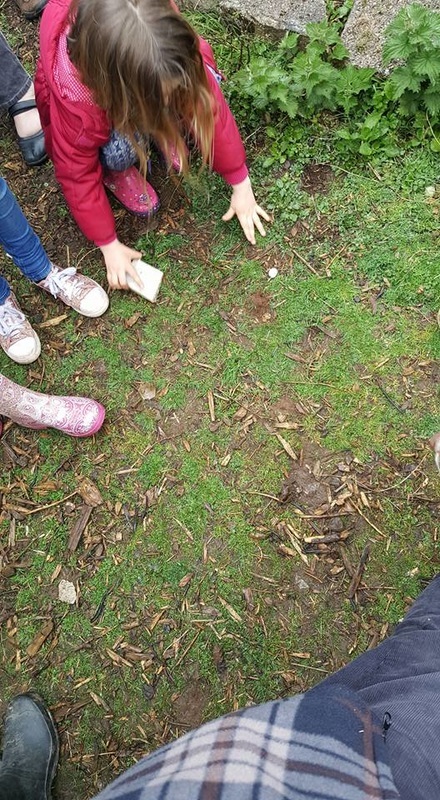 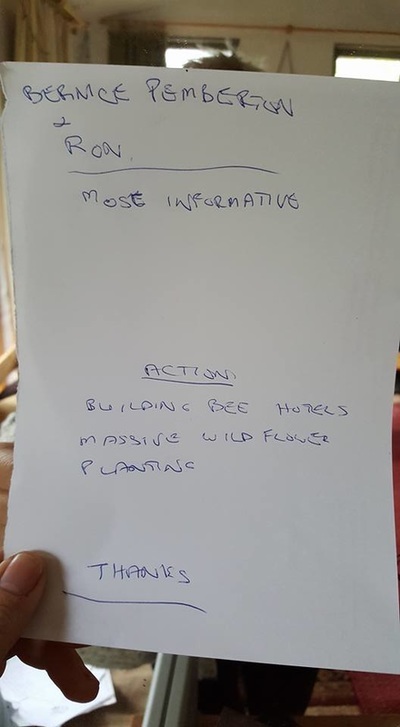 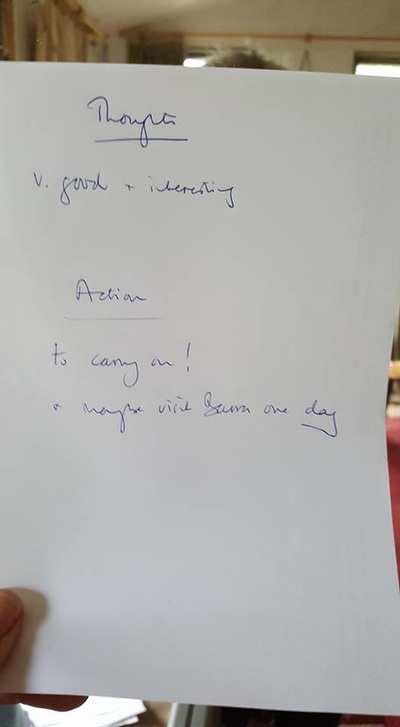 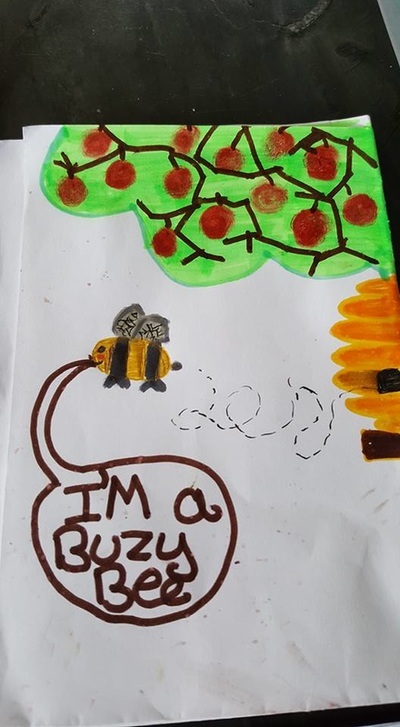 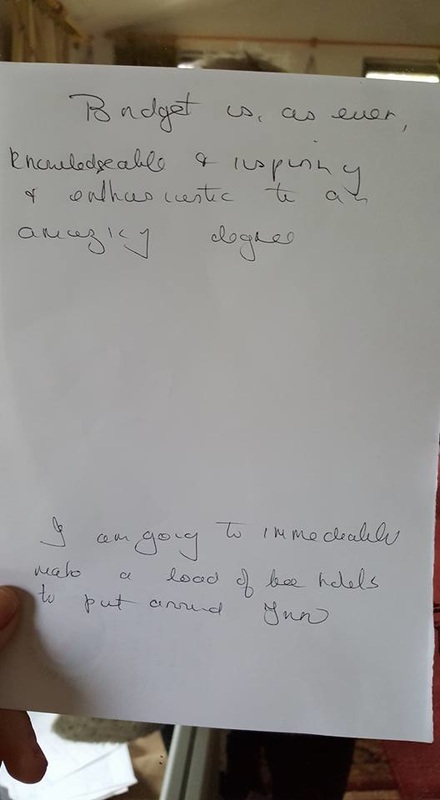 And as always, we all come away with a list of easy things we can start doing *straight away* to simply Be Better With Bees...click on each of the photos below to see them in full - and especially the hand-written Promises at the end - just brilliant! 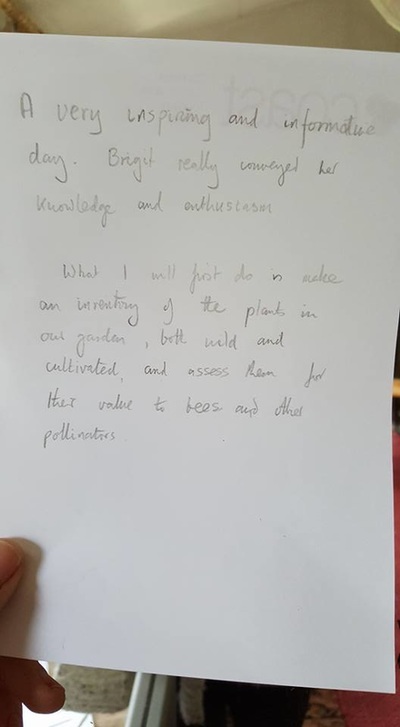 :) What can you do? :) If you want to ask questions, use our ﻿forum﻿ ﻿here﻿ or go to our FB page. 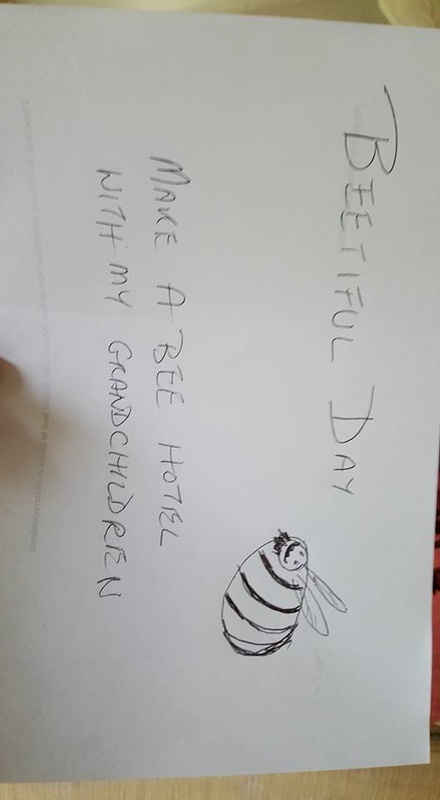 We'll do our best to respond!